This week's online ratings have certainly brought in quite a lot of surprises. From sudden jumps to unanticipated falls, this list is all of it. Falling to the 10th spot is the usually reliable Ishq Mein Marjawan. The show has a decent run in this list every week but has fallen to the last spot this week with 12.3 points. Kullfi Kumarr Bajewala is back in the running after being absent for a while and makes its way into the list at the 9th spot with a fairly well 15.0 points. 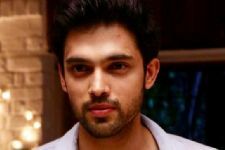 Tujhse Hai Raabta remains rock steady this week too and a pretty well 17.0 points helped the cause. The Kapil Sharma Show Season 2 is another show's who has been falling gradually for quite some time now. It does on the BARC list but it's struggling here in the online list with 20.2 points. 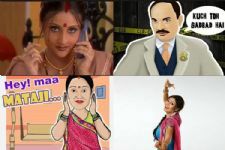 Taarak Mehta Ka Ooltah Chashmah maintains its positioning in the list quite well as the show stays on the 6th spot with 21.8 points. The Singapore track is doing great indeed. 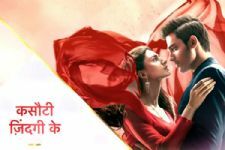 Yeh Rishtey Hai Pyaar Ke had a roaring debut on the BARC list last week and has done rather well in the online ratings too as the show fetches a good 23.0 points. Yeh Un Dinon Ki Baat Hai loses its usually coveted Top 3 position and is down at the 4th spot with a decent 28.5 points. The parent show to Yeh Rishtey..., Yeh Rishta Kya Kehlata Hai becomes one of the shows to amazingly rise up the list to the 3rd spot with a fantastic 30.2 points. A number it did not enjoy for quite some time now. 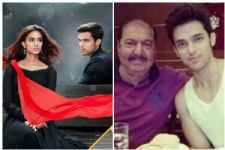 Kasautii Zindagii Kay 2 is at the top at times or is in the Top 3 otherwise. This time, it is the latter as the show is very much in the big league with a good 33.3 points and the 2nd spot. Naagin 3's reign has been dwindled in the BARC list for several weeks now but is on-and-off here. For now, it gets the top spot with a staggering 34.1 points. While Yeh Rishta zoomed up to the Top 3, The Kapil Sharma Show Season 2's decline is alarming. We wonder what is in store for us next week. U are awesome as Prerna Sharma. WHAT? Mahesh Babu's next film to be dubbed in Hindi? Akshay Kumar announces the wrapping of Housefull 4!